OLD PARKED CARS. 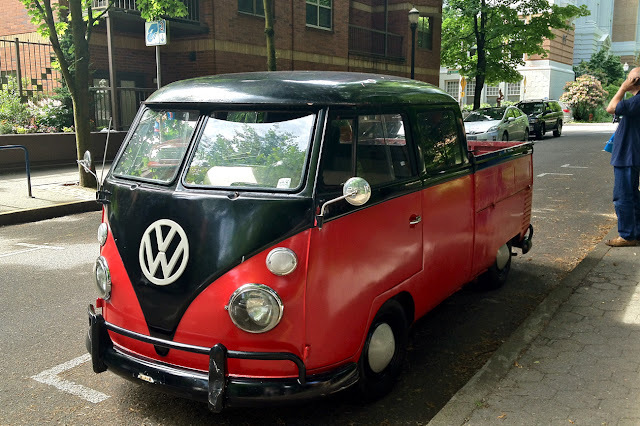 : 1963 Volkswagen Transporter Double Cab. 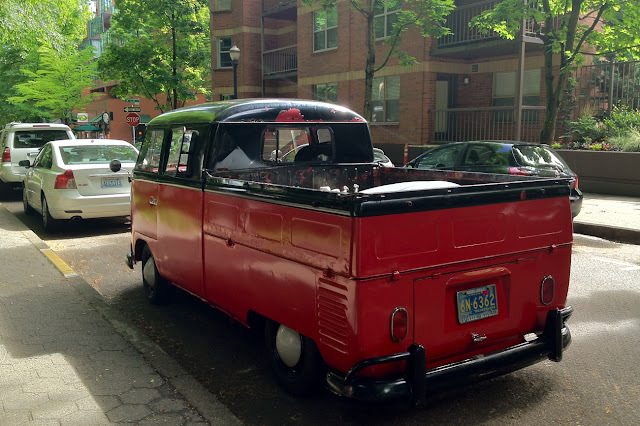 1963 Volkswagen Transporter Double Cab. Otherwise, very cool double cab - looks straight and dry. They should immediately start production again- I'd buy one in a heartbeat. I'm sure millions of others would too. Like Dave said, I would also buy one in a heart beat. I had an opportunity about 10 years ago but I waited too long. I love the car. I would like to know if it is for sale. Please let me know my name is Lee and my contact email is leemuntean@hotmail.com. thank you please let me know. Saw a near identical double cab in Columbus last fall. I can't embed the image, so click here to see it on Twitpic. i want one real bad, although i actually know better. nice work with the shadows there, mr. photographer. what's in the bed? tell me it's vintage plumbing fixtures. 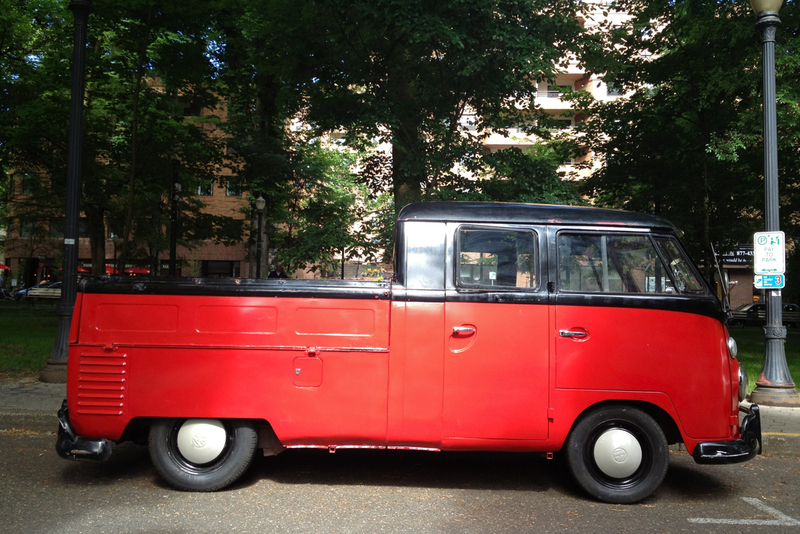 @salguod: that's quite the similar double-cab! Whats up with the Wvampire paint job? As said by Tony, great work with the shadows. Real sharp composition. I actually dig the two tone. Poor repaint or not, you should have a look at the going rate for crew cabs on the Samba. You'd easily have to shell out $15-20K for that ride. $2-5K for a rusted out pile with no engine.